It used to be that every girl dreamed of being a June bride. 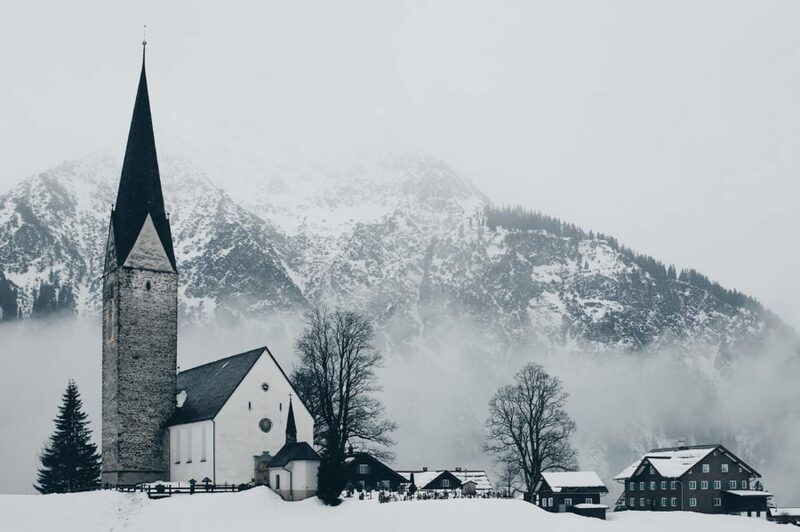 While the summer months are still considered peak wedding season, these days many couples are opting for winter nuptials. 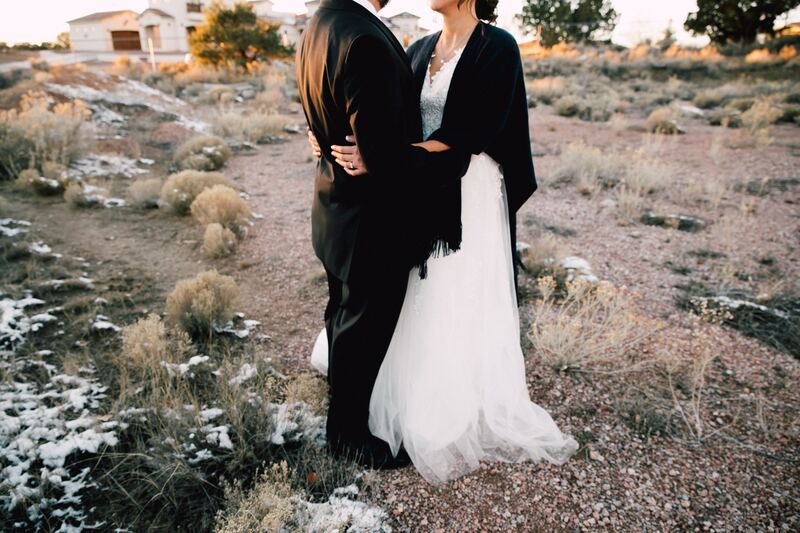 As Colorado Wedding Planners, many of our clients opt for winter weddings because of the dreamy winter wonderland landscape that our great state offers. After all, what says romance better than a gentle snowfall, candles, and lights flickering in the night, and all against the frosty backdrop provided by mother nature? All of these winter delights, alone or combined, have the ability to create unforgettable weddings and breathtaking portraits. If this isn’t enough to have you considering a winter wedding, then put this feather in your cap; the colder months also tend to offer couples more bang for their buck. We’ve featured some of these budget-friendly ideas below so keep scrolling to review 10 Spectacular Decorations for a Winter Wedding! Frosted branches. Create a beautiful entrance for your guests by frosting willowy branches of varying heights. Depending on your color scheme, you can leave the branches natural or spray paint them white or silver. 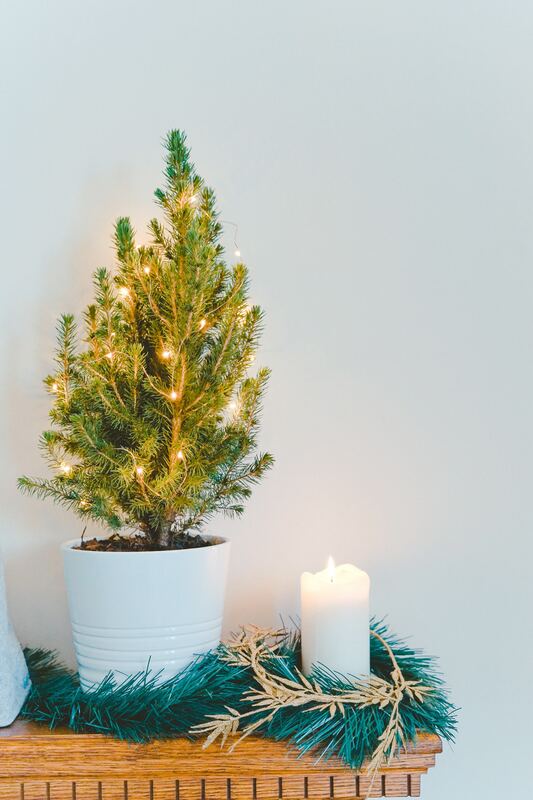 Next, apply a generous amount of glue and white or silver glitter to your branches. 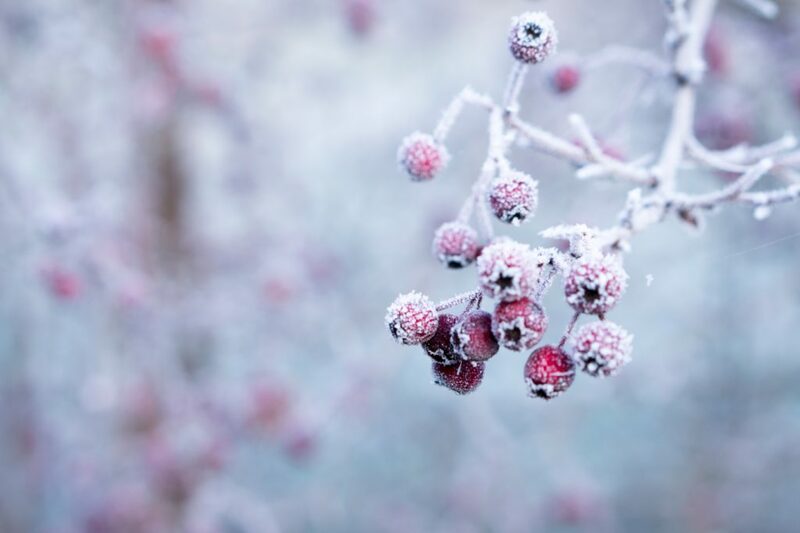 If you happen to be an anti-glitter person (totally get it), search your cupboards for some sugar or Epsom salts to craft a more authentic and eco-friendly frost. Lanterns. 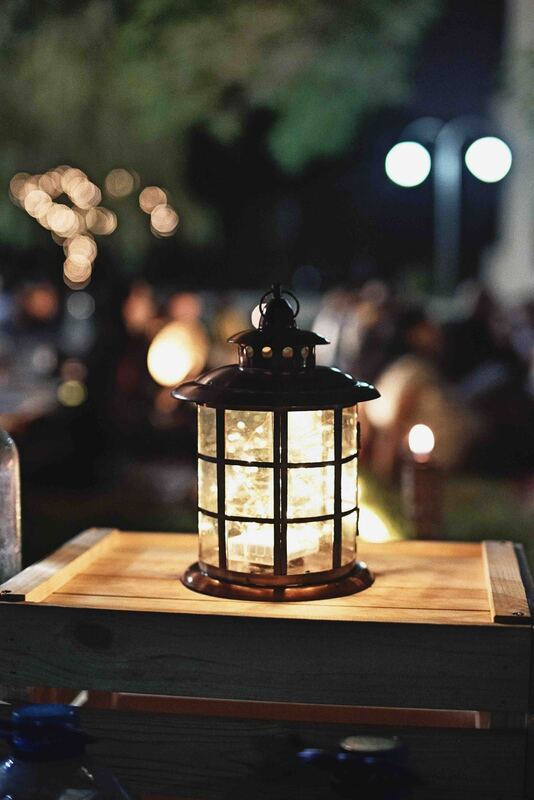 Scour thrift stores, crafting outlets, and garage sales for vintage looking lanterns to add character to your winter wedding. 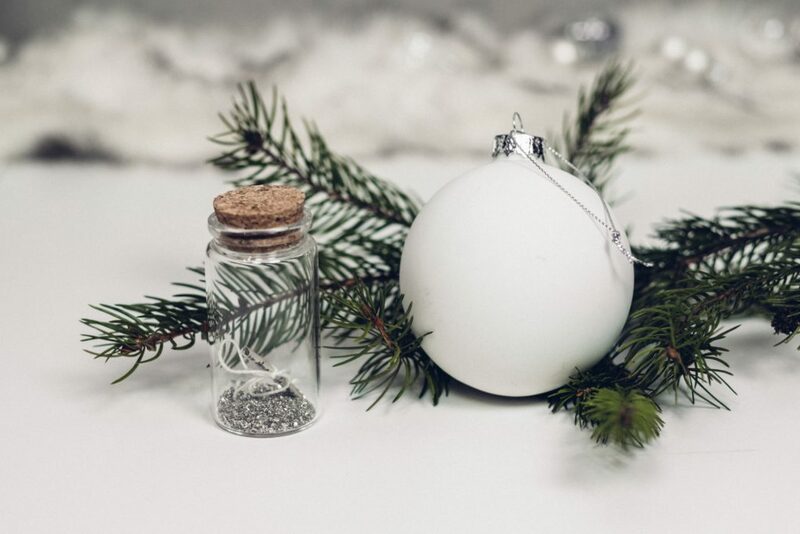 Clean them up (or don’t for a super authentic’o feel), fill with your choice of battery operated candles, or frost the glass with a concoction of glue and salt to make one-of-a-kind centerpieces, aisle markers, or accents to your decorations. Use evergreen garland and baby’s breath. Nothing says winter like the evergreen garland we so often see this time of year. As an added bonus, this affordable greenery will save you money on expensive blooms. To pull in shades of white by adding baby’s breath to arrangements, bouquets, and boutineers. 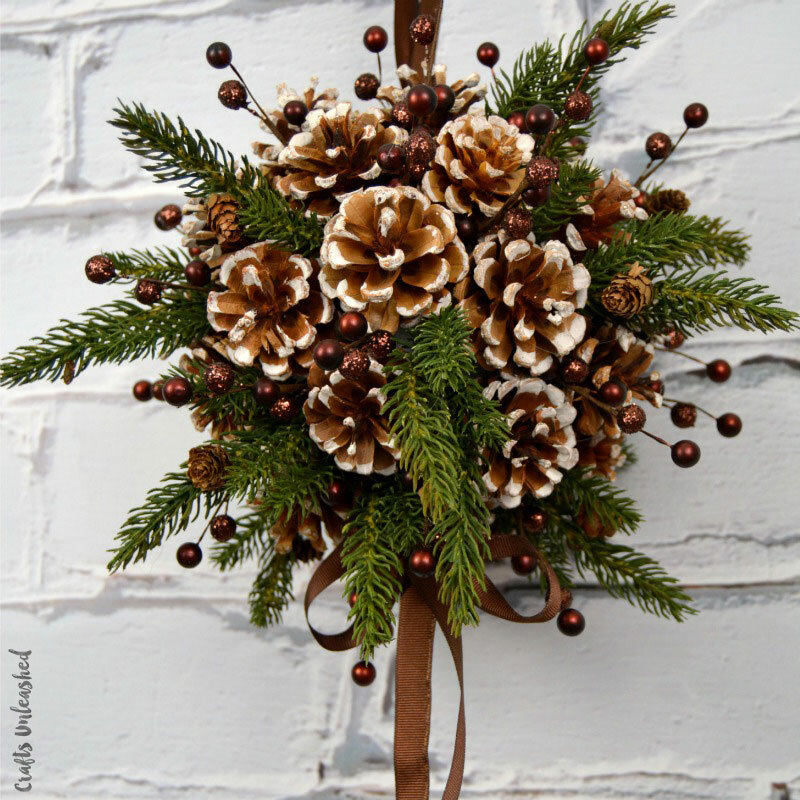 For an earthy meets glam feel, spray paint pine cones and acorns various shades of metallic like rose gold, copper or silver and sprinkle these throughout your garland or place alone in glass containers. 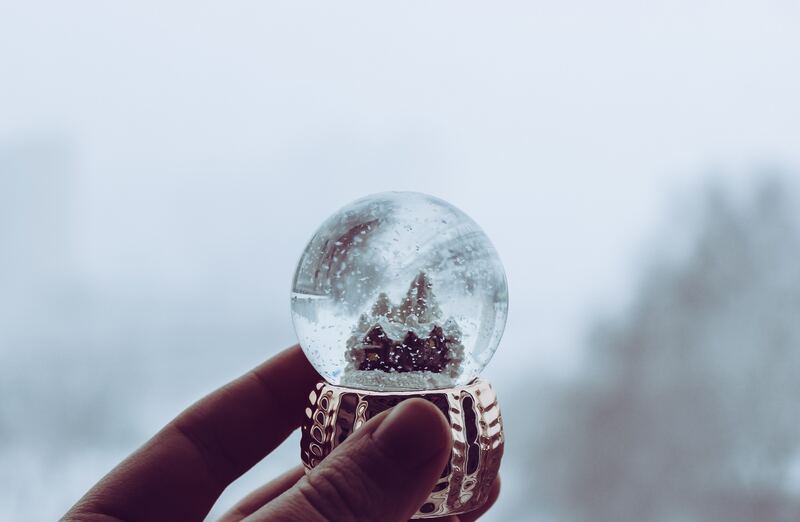 Create snow globe centerpieces. Bring the picturesque snowy scenes indoors with idyllic centerpiece snow globes. You can do this a myriad of ways, but we love repurposing wine glasses. 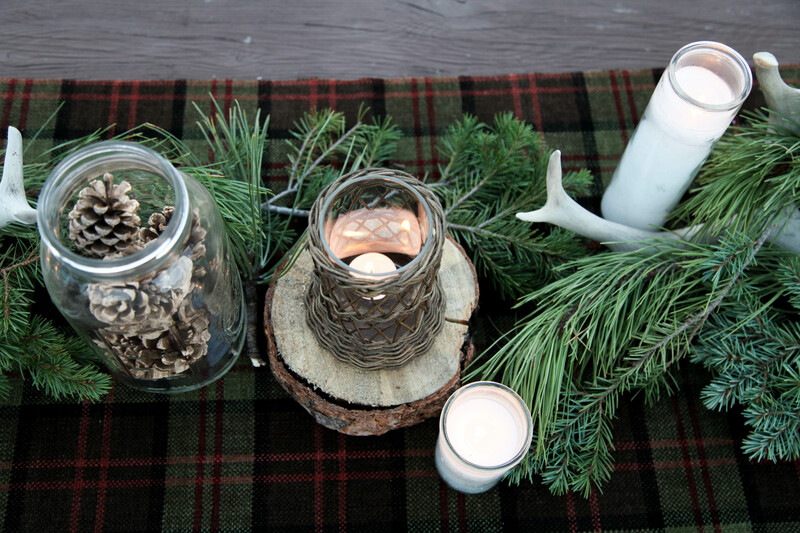 Turn the glasses upside down and add pinecones, figurines, greenery, and berries that are coated with artificial snow inside the bell of the glass to create a traditional globe look. On the top, which is actually the foot of the glass, place a white pillar candle to add some light. Get lit. Nothing says a romantic event like white candles and lots of them. Whether you use the real deal or opt for a realistic battery operated ones, candles add a lot of ambiance to your wedding with minimal cost. Place them in a glass container filled with white sand or fake snow for that added winter effect. Or mix them with a combination of battery-powered twinkling lights. Just remember to discuss open flames rules and regulations with your venue ahead of time before making the investment. Add white lights. Speaking of ambiance, design the perfect winter wonderland for your nuptials and reception by using tons of white lights. Take advantage of the holiday sales to stock up so you can create a dazzling array of light. 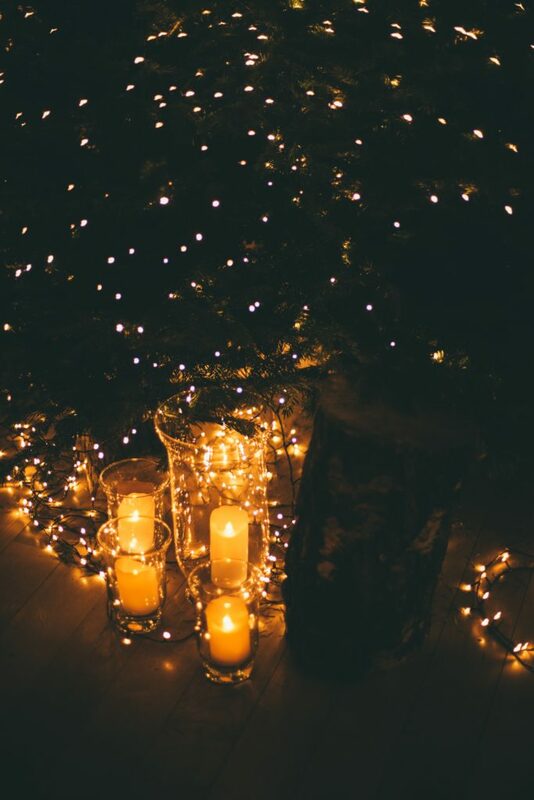 Hang them from the rafters to create a starry feeling or use them under tulle to cast a soft glow. Just avoid blowing light bulbs or fuses by reading the directions to avoid stringing more than the recommended number of strings together. Frosted, white and metallic ornaments. If you’re having a winter wedding take advantage of Christmas decor or better yet after Christmas sales. Collect a variety of frosted, white, and metallic ornaments and use these anywhere and everywhere. We like them places in glass vessels, scattered down your table garland, strategically placed in aisle markers, or used as place cards. A kissing ball. Take advantage of the time-honored mistletoe tradition and purchase or DIY a kissing ball made of evergreen and berries. Hang a kissing ball in an archway or above the bride and groom table for a playful way to sneak in some sweet winter kisses. Check out this easy kissing ball tutorial we found on Crafts Unleased! Pinecones. 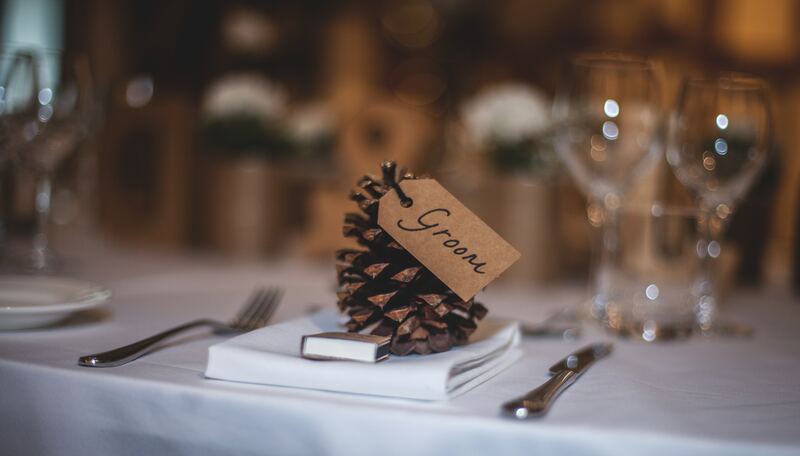 We’ve said it before and we’ll say it again, yes, the lowly pinecone absolutely has a place at any winter wedding. Use these backyard finds to fill vases, centerpieces, tie them together to make a garland, or use them on your table as placecard holders. Let them be raw, or spray paint them to match any wedding color palette. The possibilities are endless and they are an economical way to stretch your decoration budget. White birch logs. Carefully saw different lengths of these white small tree logs to design a natural boost of height for your centerpieces, candles, and flowers. 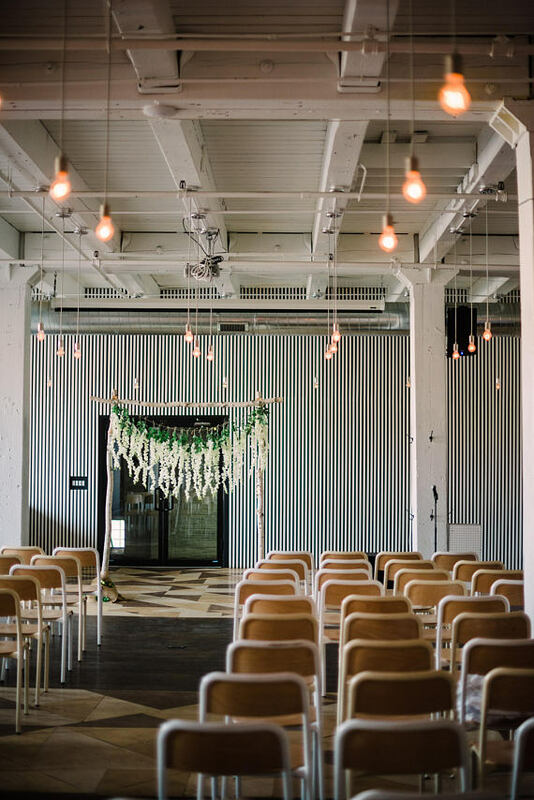 If you’re feeling extra bold and crafty consider building a birch wood ceremony arch, or purchase this super cool boho wedding arch featured below from DanyelleDesignsShop. Tell us, what are your favorite decorations for a winter wedding? Comment below!